Public Relations has been a part of not only business but larger society for centuries. There has been no successful (or government) that hasn’t interacted with the public to spread knowledge and influence overall opinion. Where PR has run into issues in the modern world is with the ever widening advancements in technology mainly driven via the internet and internet-connected devices such as smartphones. The internet, social media, and real-time information sharing is presenting challenges for the classic PR approach. This has lead to industry writers to question the viability of the entire industry. Is PR dead? Let’s review the argument and find out. When writers and industry experts are saying PR is dead what they are referring to is the changing methods of information gathering. In the ‘old days’ companies would send out press releases, write articles, or give interviews on local television news programs. In the modern digital age a growing number of people get their news from social media (see this 2015 study from Pew ) and not only does social media replace traditional news it is also faster reporting on events as they happen in real time. This shift in how people take in news has made traditional PR methods ineffective. For example, a response delivered via television or print media may not go out for hours with its impact limited due to more current information having already been released (and read) via social media. The concept of PR being dead relates to old methods in a changing world. The core argument of the statement PR is dead is that changes in media consumption have greatly reduced its effectiveness to the point where it might as well not exist. To take it further PR is not dead but what worked before certainly is. Information moves entirely too quickly for a business’s PR to be reactive in nature it instead has to be proactive. PR should be used not a response to outside factors but as a proactive driving force to build a company’s reputation. To do this PR needs to make use of new means of communication via social media and work together with other departments focused on marketing and advertising. Remember customers don’t really differentiate between a company’s departments the company is the company a unified monolithic entity no matter how untrue this may be. In that respect in such a fast moving environment, a unified approach is required as fragmented departments will not be able to work together to put forth a unified PR strategy. Information silos are the last thing you want and lack of communication results in stuff like this. In summation, PR is not dead in the sense that it no longer exists. What is dead is the methodology that has become increasingly ineffective in the modern world. PR is very much alive and currently in a transformative period as it adapts to changing media and news platforms. While the platform may change and the approach may be a more unified one between various departments the result will remain the same, PR will continue to be used to build a company’s reputation in the marketplace and community. 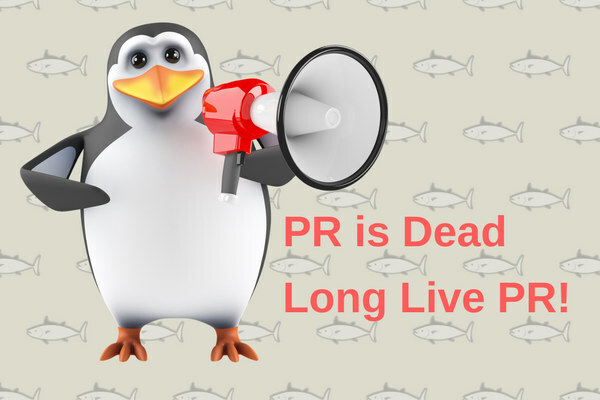 PR is dead, long live PR!